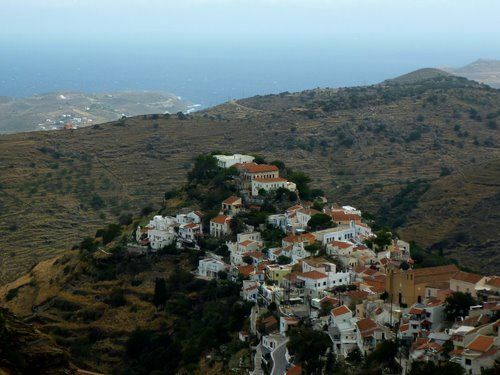 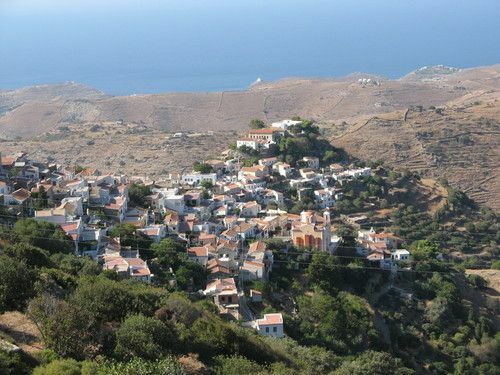 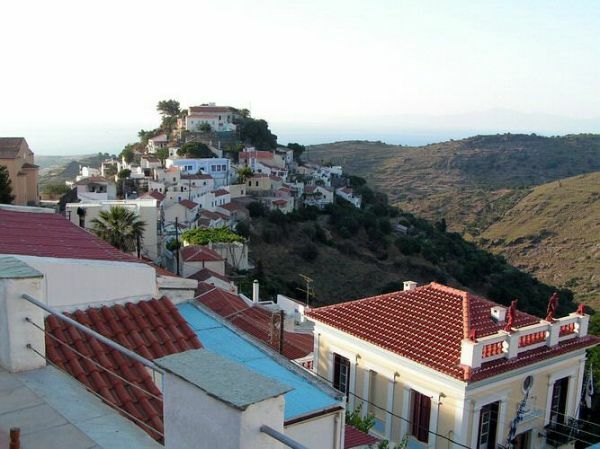 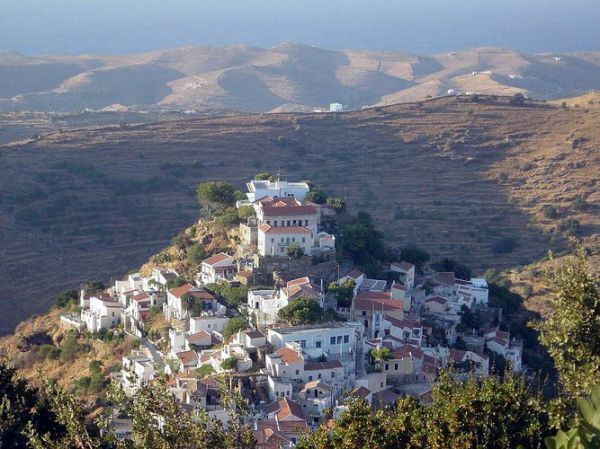 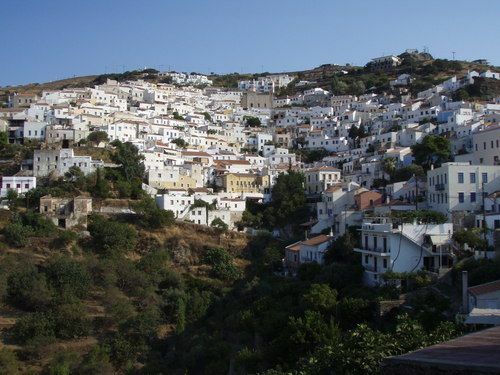 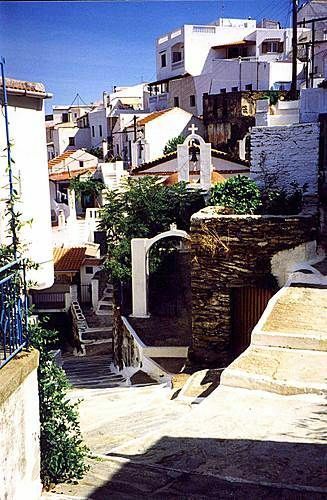 Ioulis or Chora is Kea's capital (apx 6 km from Korissia port), a beautiful traditional white washed village sitting on the slopes of two hills, offering great sea views. 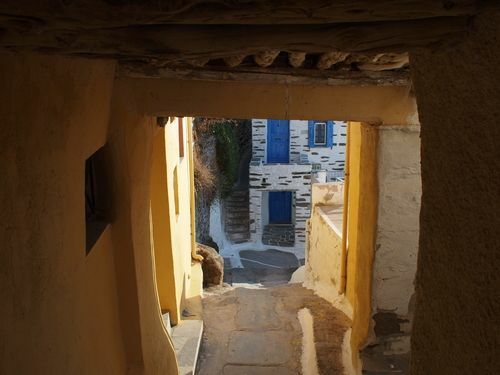 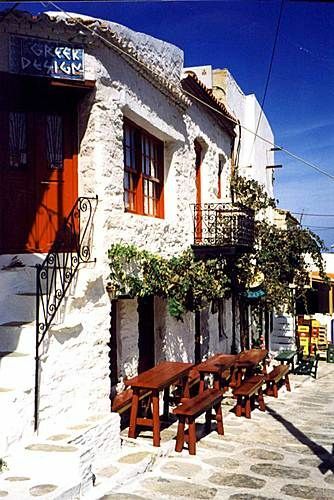 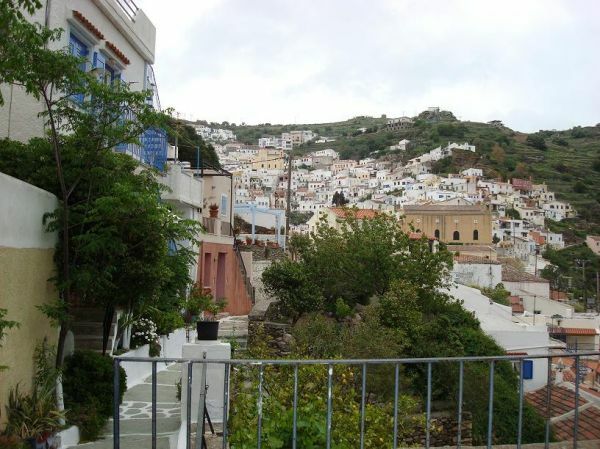 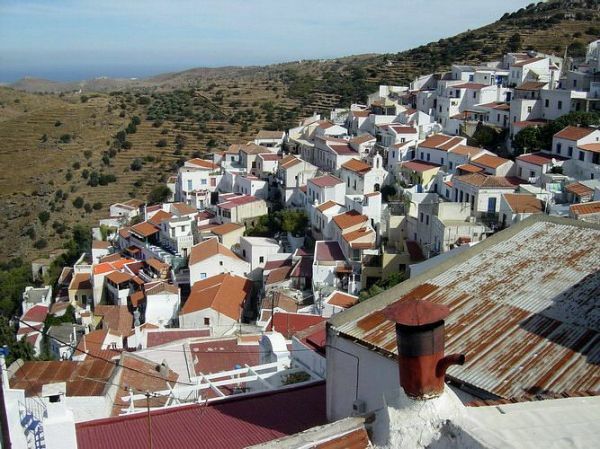 Its picturesque houses have red tiled roofs, which is rare in Cyclades. 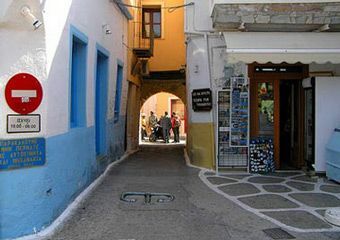 Cars are not allowed there and life is relaxed, as it was many decades ago. 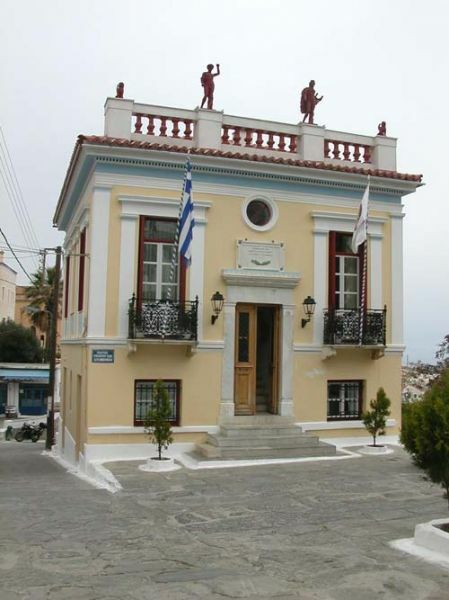 Its landmark is the impressive neoclassical Town Hall that dominates the beautiful main square, which offers nice views, tall trees and a good meat taverna. 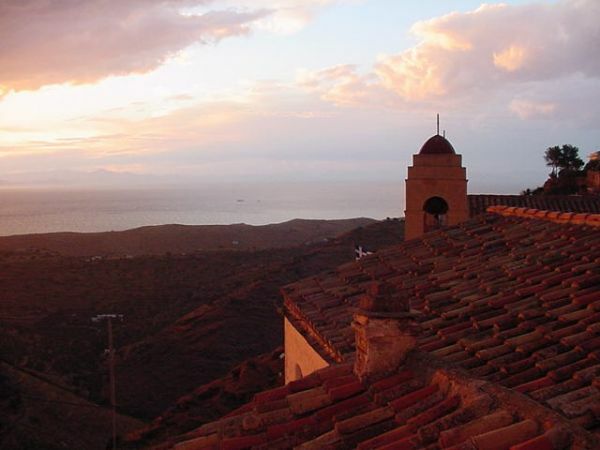 We suggest you to visit Ioulida during the sunset. 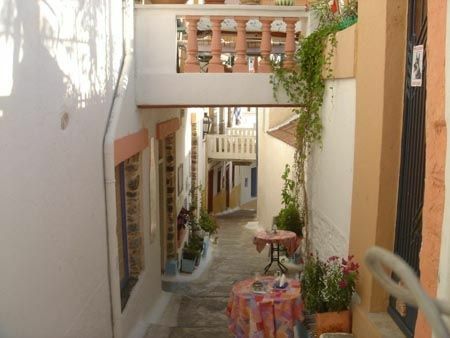 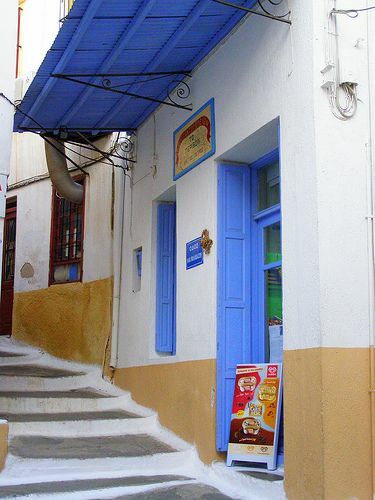 Admire the magnificient sea views and stroll in its picturesque alleyways. 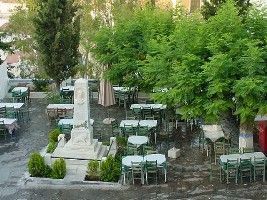 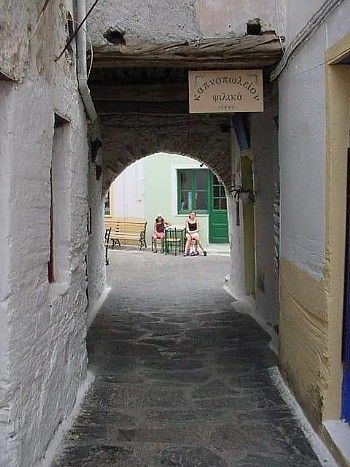 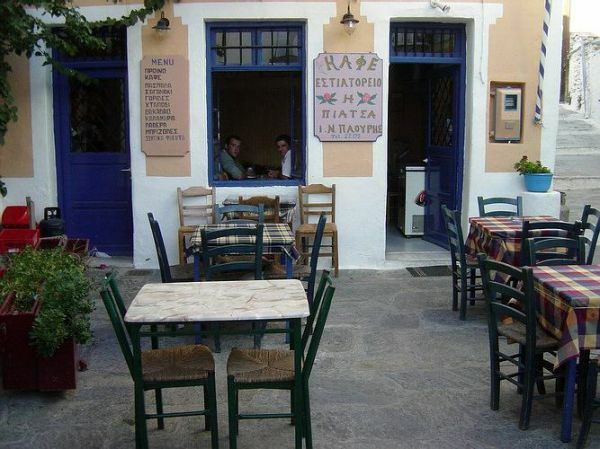 Don't miss a coffee or a drink in one of the few cozy cafe-pastry shops and a dinner either at the nice main square's taverna or in one of the few other picturesque eateries. 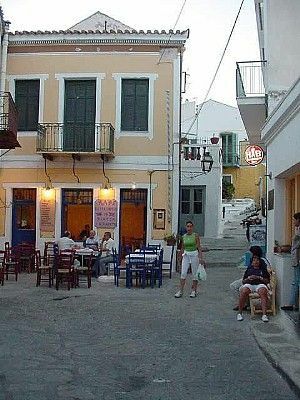 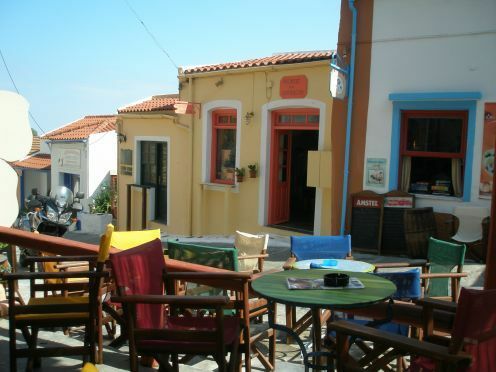 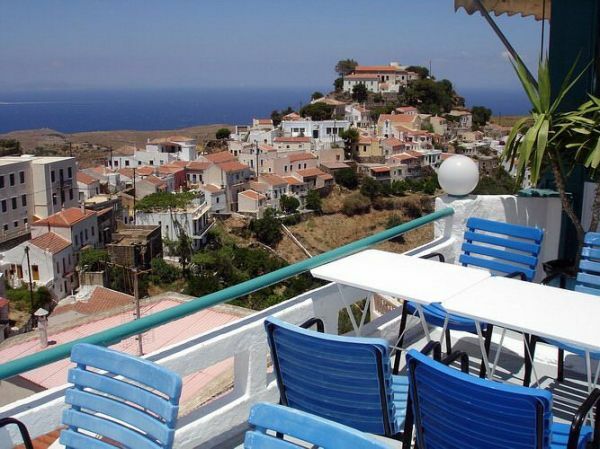 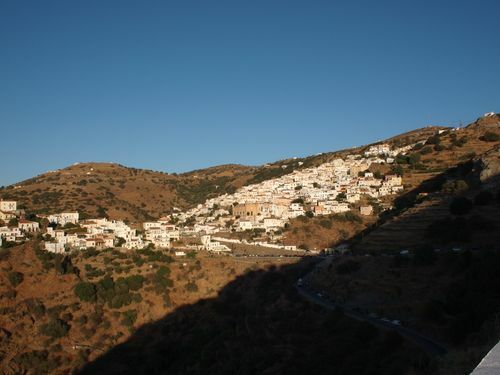 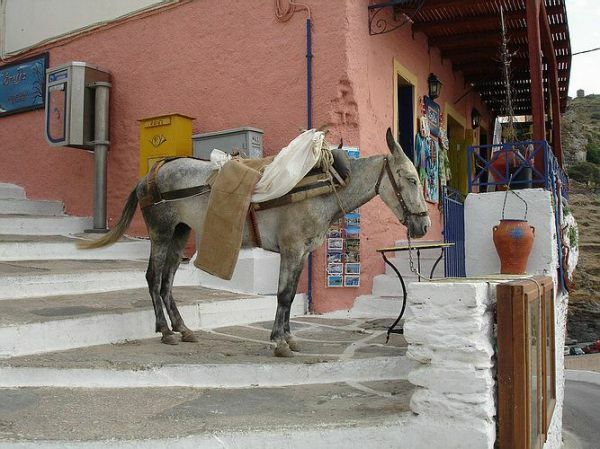 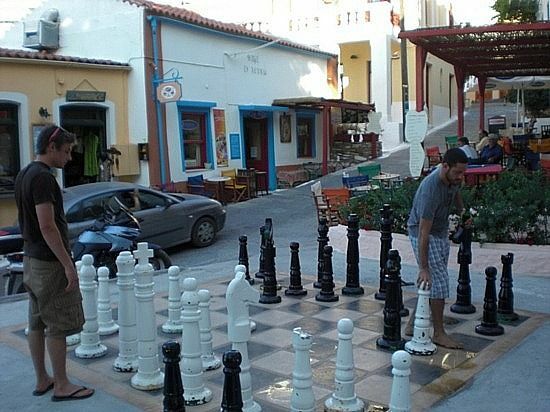 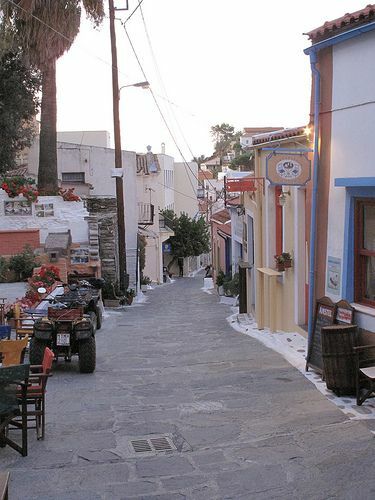 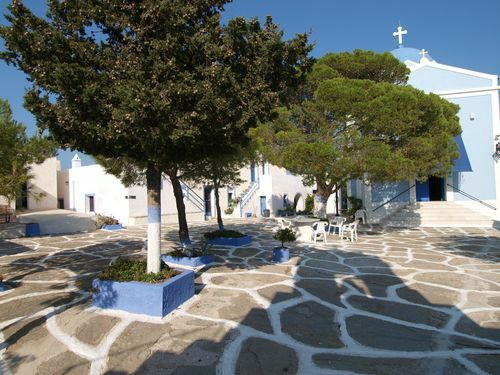 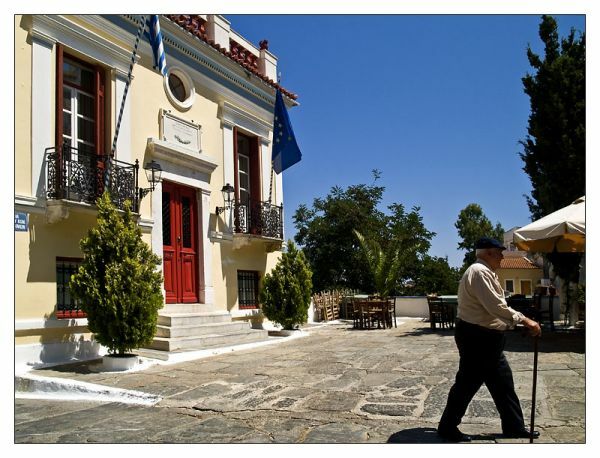 At night, the village is rather quiet and people gather in the tavernas and the cafes. 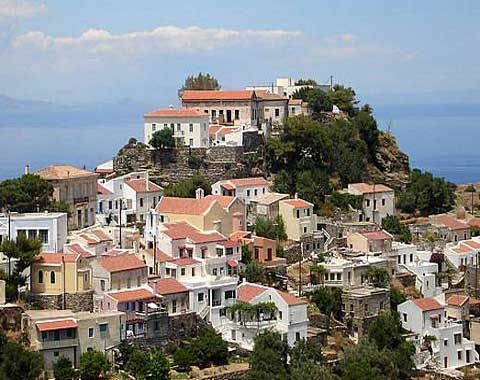 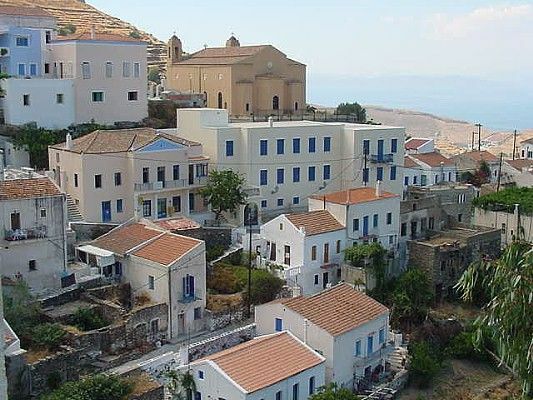 HISTORY: Ioulis was one of the four important cities-states, along with Karthaia, Korissos (Korissia) and Poiessa (Pisses), that flourished in Kea during the archaic and classical years. 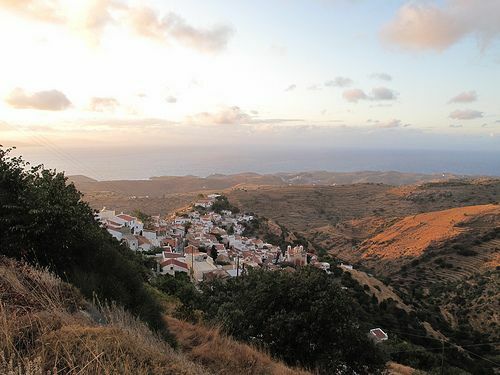 On the left side of the village visitors may see the Kastro (Castle), the ancient part of Ioulida, with the remainings of antique fortifications, an Acropolis and a Venetian wall. 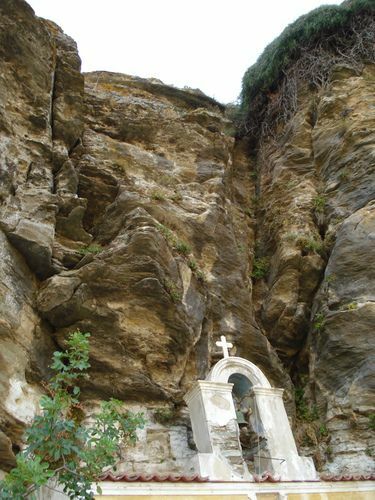 Further below is the St Paraskevi church, some carved stone seats and the Panagia Kastriani, the most important monastery in Kea. 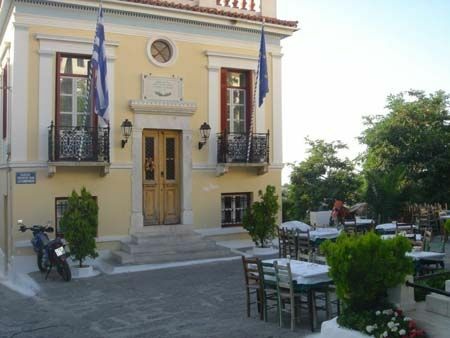 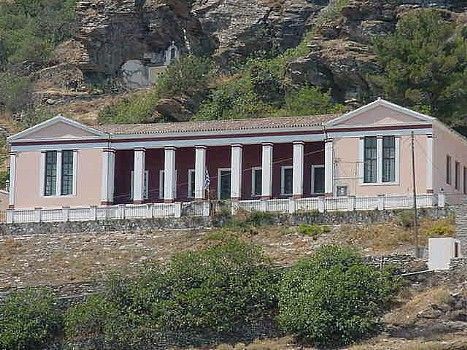 Ioulis has an important Archaeological Musem which is definately worth to visit. 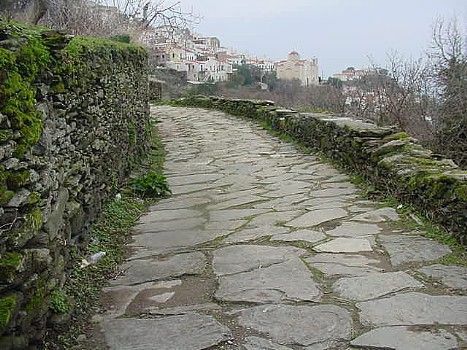 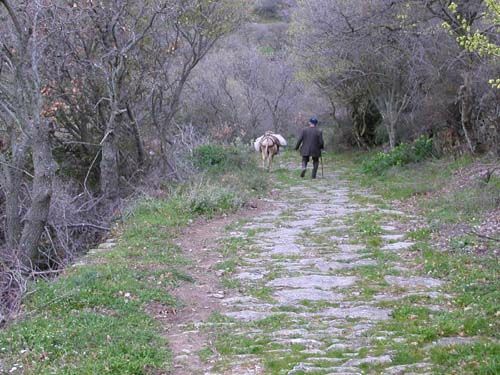 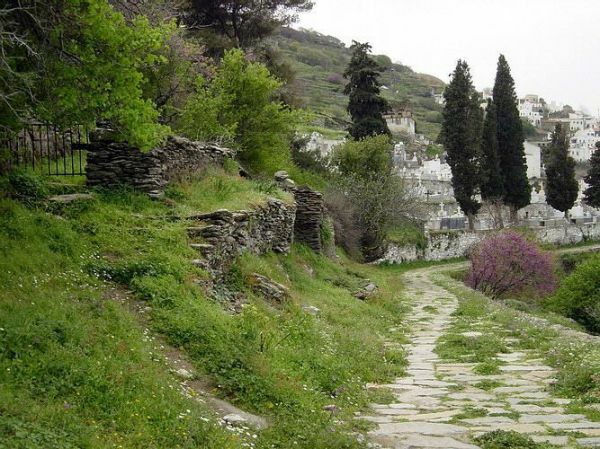 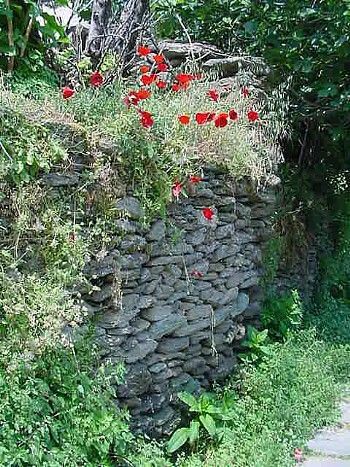 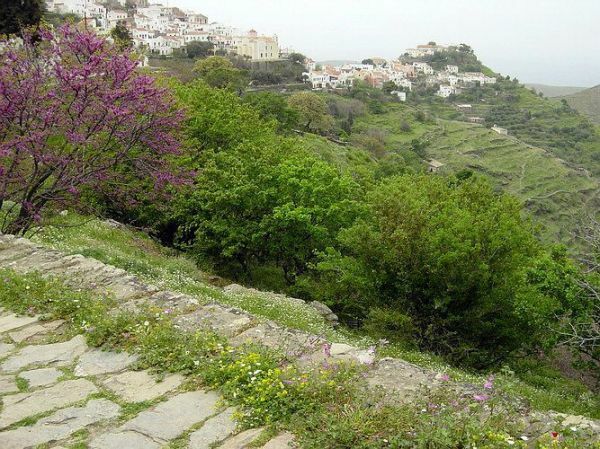 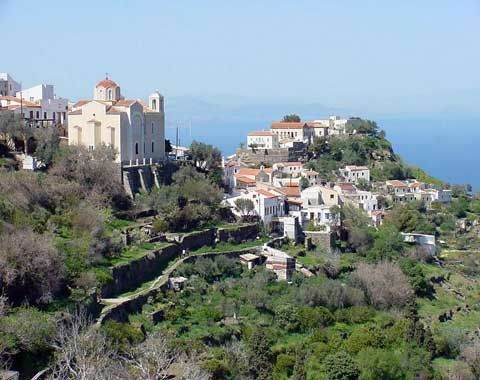 At the end of the village, after St Spyridon church, begins the beautiful old stone path, which offers great views and leads to Kourentis springs. 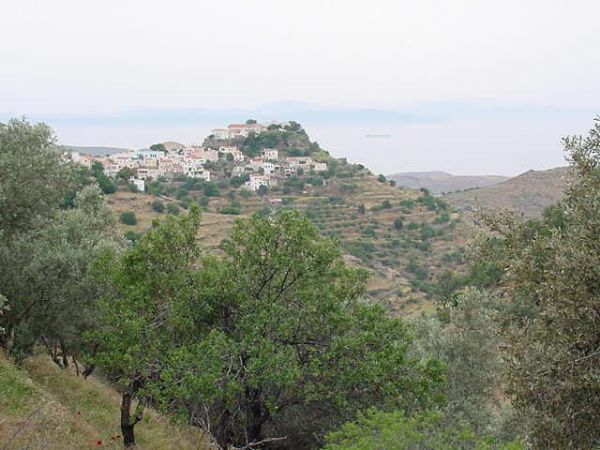 The area is green with fields, olive trees and fig trees. 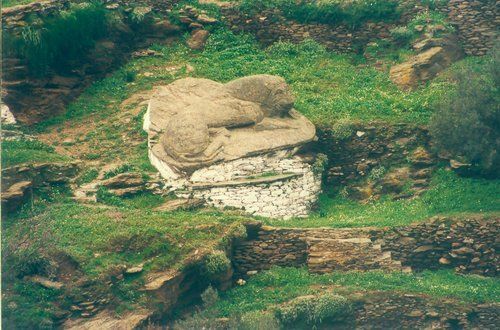 After the cemetery and the whitewashed chapel, lies the famous Lion of Kea. 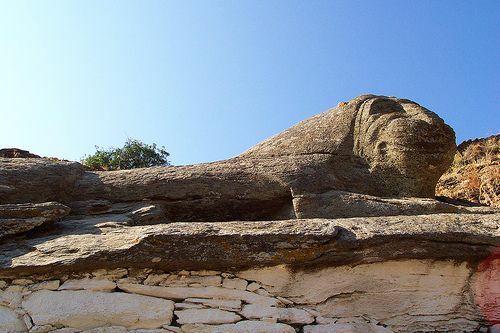 It is a huge statue carved out of granite (6th century BC) but not much is known about it. 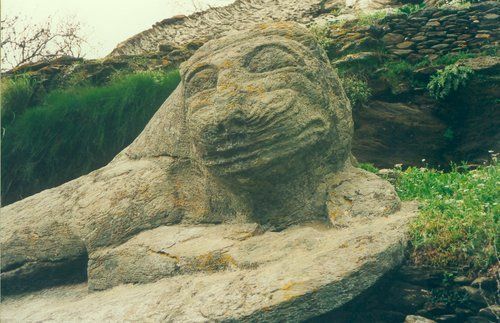 However, it is beleived that in the antiquity Lions used to live in the area. 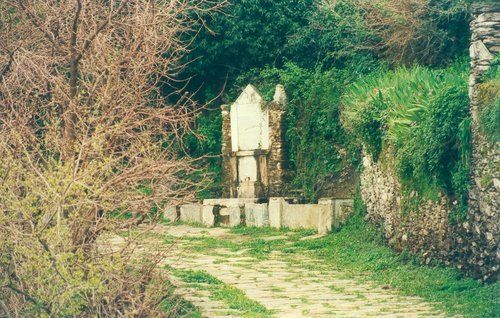 Beyond the statue there is Benjiman's Spring. 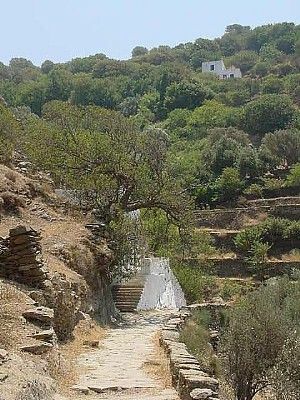 The path (one of the many marked paths in Kea) continues on to Otzias beach and settlement. 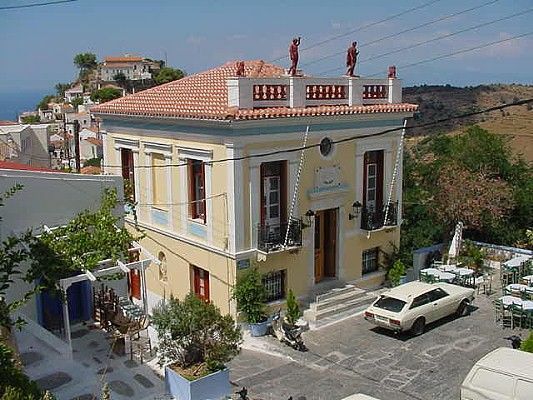 Cars are parked at a parking right outside the village, where the impressive neo-classical school's building is found.